Mike trained at the Central School of Speech and Drama in London. He has an MA in Applied Linguistics and an MA in Creative Writing and has delivered teacher training seminars and workshops in many countries around the world, including Austria, Spain and Japan. In addition to his work with English in Action, he is an Assistant Lecturer in Creative Writing at the University of Kent. 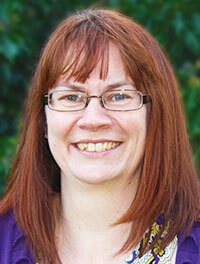 Amanda previously worked for Stafford House School of English for 12 years as the Assistant Accountant. She has since held temporary positions, the most recent being with the University of Kent. She became a full-time member of the team in February 2013 as the Accounts manager.